Going Strong in 2nd Grade: All About my Math Block! All About my Math Block! It's so hard to believe that the last time I blogged was the weekend before school started and I'm now HALFWAY through the first nine weeks (almost...as of this coming Wednesday!). 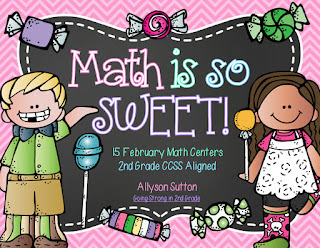 There has been a lot of talk in several teacher Facebook groups I'm a part of about Engage NY math curriculum, guided math, and math centers. Now, I'm no way an expert, but I wanted to share how I've made these things work in some way, some shape, some how in my classroom. 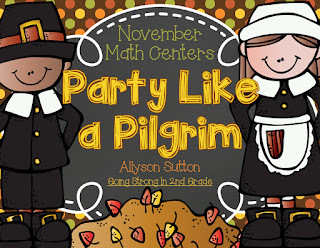 We also had a staff meeting/Engage NY session after our early release today at school and I was able to share with other teachers how I am using Zearn and math centers in my classroom, so a blog post was most certainly needed too! To start with, this is our first year utilizing Engage NY curriculum for math, from the beginning of the year. 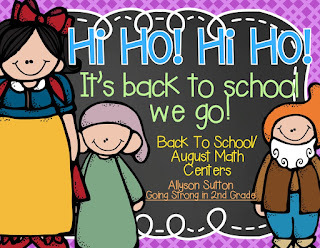 After the first week, I was SO overwhelmed and I felt like my kids were even more so. Now that we are 4 weeks in, I am liking it and my kids are getting better at it - so PRAISE! Now, how I structure my math block! I have math from 12:30-1:50 each day, so it is RIGHT after lunch - which can be a good thing or a bad thing. It has worked out well for us and I am such a stickler about time, that I try to get started right at 12:30 each day. Since we are utilizing Engage NY, I found this AWESOME (and FREE!!!) resource online that correlates with the program called Zearn! 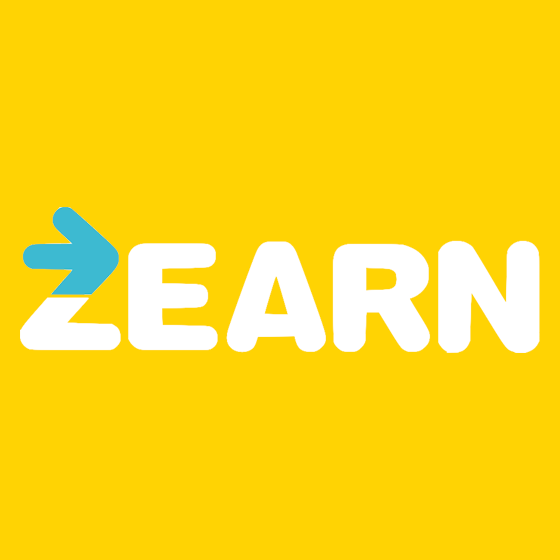 Zearn can be used in several different ways and the creators of Zearn actually have set-up ideas and videos on their website of how to use Zearn most effectively. I am very blessed to have a class set of iPads in my room, so my kids are able to utilize Zearn during our math centers. During the first couple weeks of school we did Zearn whole group until they got the hang of it. I use Zearn a little differently than prescribed on their website, but like with any curriculum or program, you have to find what works for you and your students, while also following the curriculum with fidelity - or it won't be effective. The "concept development" part of the ENY lessons is my direct instruction. For this, I am now utilizing the Math Chat/Learning Lab videos that Zearn provides on their website. Each day, I have my students come to the carpet and Mr. Sawicki or one of the other awesome Zearn teachers guides u through the lesson. I do preview the lesson WITH my ENY curriculum in front of me to make sure that it is aligning and if I need to add anything to my instruction, I can very easily pause the Zearn video and stop to explain, pose a question, etc. I do also make sure to include the application problem in my lesson if it is not already included in the Zearn video. Some videos have a warm-up problem to get the kids to review what they have already learned. Another (FREE!) resource Zearn offers are Zearn notes that go along with the video. Not every Zearn lesson has Zearn notes, but when they do, I have them copied into booklets for the week and we work through the problem together. I will let my kids work on the problem independently at their seats, or on the carpet, and then we discuss our answers and input our answers into the Math Chat/Learning Lab and see how the students (or as they are called, Zearners) solved it. After my direction instruction using the Math Chat/Learning Lab is over, my kids go back to their seats and we get ready for math centers. 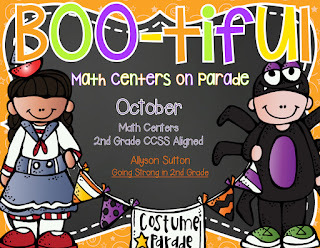 This is my current set-up for math centers. Kids are flexible - so I may change this at some point, but it is working for now! Each "round" is approximately 15 minutes long. Now, what are the kids doing during this time? Work With Teacher - this is when my groups (5-6 students) come to my table and we work on the Problem Set from Engage NY. This works so much better for me because I can easily watch 5-6 students as they are working rather than 22. I can quickly spot errors and help students understand their mistakes in a smaller group. If we don't finish the problem set, I don't stress myself. The problems get harder has you work though the set, so I am going to try to have students work every other problem or fewer of the easier ones and more of the harder ones if the amount of problems is too many for our time together. Zearn - this is when kids will get on their iPad, and complete the Zearn activities that went with today's lesson. They will do the Number Gym. 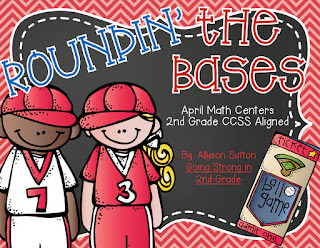 "Number Gym builds flexibility and efficiency with numbers through short, fun and focused fluency activities." After they have finished Number Gym, the Sprint will be unlocked. If you use ENY, you no longer have to copy the Sprints! They are built into Zearn for you! Sprints "build your accuracy and flexibility with recently learned concepts. Then try to beat your own score in the 2nd round!" Next, the Math Chat/Learning Lab would be unlocked. Because we have done this as a class already, I go into my settings and make it optional for my students to complete. 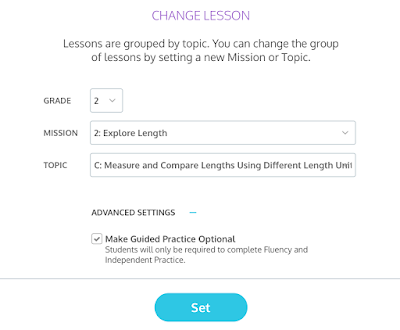 You can make the Guided Practice (Math Chat/Learning Lab) optional by going to your "Classes" page, selecting all students (or those that you want the video to be optional for) and then click "Change Lesson". Here you can select the topic you want everyone to be on and at the bottom, make sure that "Make Guided Practice Optional" is selected. Because it is optional, the Tower of Power will unlock next for them to complete. Tower of Power has students "Demonstrate what you've learned to get to the next level. Confused? 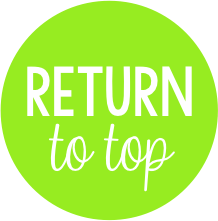 Don't worry — you'll get a boost in the form of re-learning opportunities precisely when and where you need them." 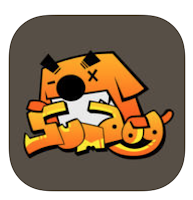 Sumdog - Another iPad app my students use is SumDog and oh my, do they LOVE it! 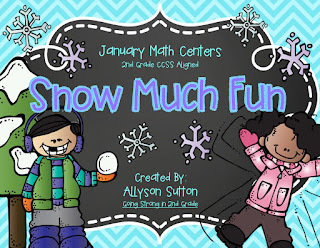 Sumdog provides students a fun and engaging way to practice math skills where they need it. Sumdog meets each individual student's needs right where they are through adaptive learning. 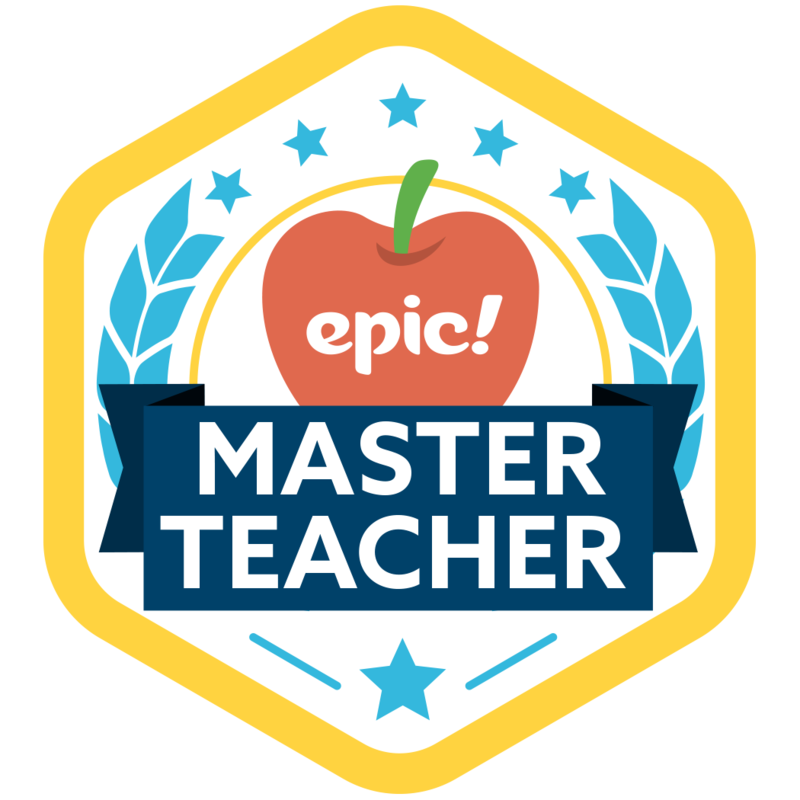 Students in the same class with polar opposite ability levels can be competing in each other in the SAME GAME but each student is answering questions that are tailored for THEM! I didn't believe it until I saw it with my own eyes last school year. Two students in my class were competing with each other on a game - one was working on place value, and the other was working on telling time. The questions are custom made just for them! 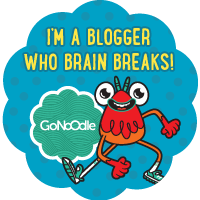 You can read more about it on Sumdog's teacher page. 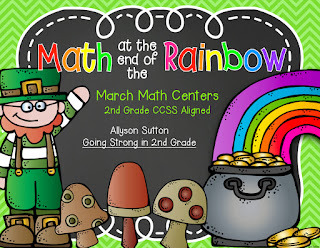 The last center my kids work through is Math Center. Each day, I have a new math center from one of my monthly math center sets that students use task cards to complete. Since it is August and the Olympics have been going on the past two weeks, August's math centers were all about the Olympics! I have the task cards in a labeled quart sized ziplock bag and the response sheets. I give quick directions and kids work on the sheet, trying to answer all of the questions. 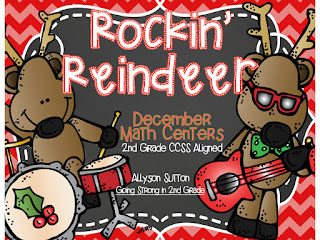 My math centers are aligned with 2nd Grade CCSS and gradually get more difficult and cover pretty much all of the 2nd Grade Math CCSS by the end of the year. The concepts spiral - so addition at the beginning of the year is basic addition and should be a review of first grade concepts, but addition at the end of the year is 3-Digit Addition with Regrouping. By the end of the year, the kids know the directions for the centers, the tasks have just gotten harder. 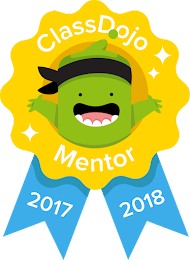 My students have LOVED these and they love that they can color the clipart when they finish - that's always a bonus for them! I like that they are continuing to review skills that they have already learned even after we have learned it. So many times they will forget a concept because they are not consistently using it every day, but these centers require them to think back to a concept they have learned. 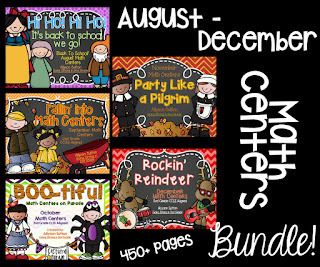 You can grab my math centers individually by month or bundled together August-December and January-May. Please note - these are not aligned to Engage NY. I have used these for the past 2 school years with different curriculums. 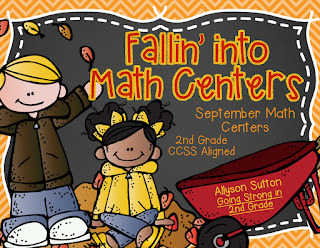 How do you prep and store my math centers? I keep the math centers cards in quart sized ziplock bags, as mentioned above. I use standard 1x2 5/8" Avery Labels to write the titles of the centers on the bags. Some of my first sets even have the CCSS listed on the label, just for a reference. I keep all of the center card bags in a gallon sized ziplock bag so it is easy to pull out at the beginning of each month. 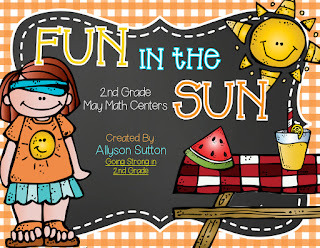 At the end of math centers, the bag of math center cards is stored away so that those who did not finish their center can come back to it later by just grabbing the bag of cards and finishing! The cards are kept in the bottom bucket of the metal storage unit hanging on the wall. This is right beside our "Math Center" table and my kiddos have been really good about putting the extra response sheets and task cards away each afternoon! Prepping response sheets - I keep all my response sheets in a binder, in sheet protectors. Since it is nearing the end of August, I will go to my binder and pull out my September sheets. I will go ahead and copy ALL of my September response sheets before the month begins so I have them each Friday afternoon. On Friday afternoons when I am prepping for the next week, I go to my classroom closet, pick out the centers I want my kids to complete, find the bag of task cards and then sort in my Monday-Friday buckets and I'm ready to go! 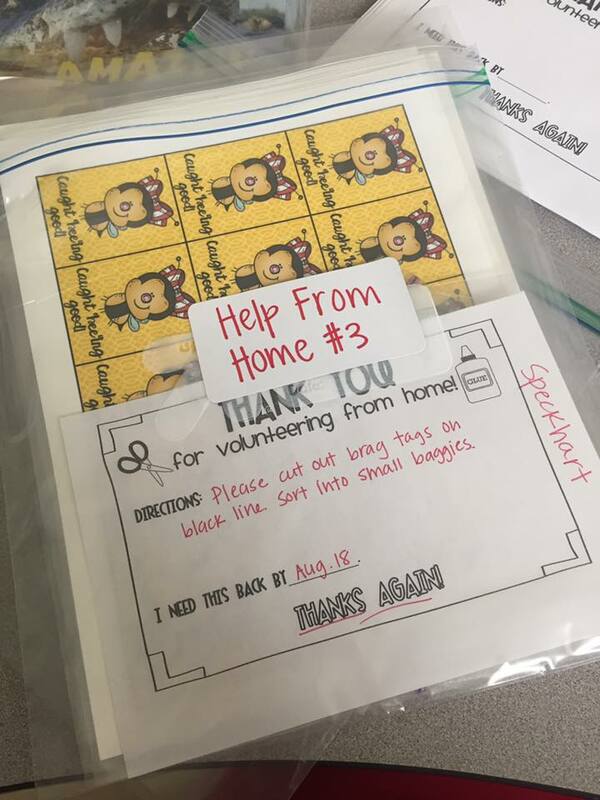 Getting the task cards prepped initially is the most time consuming part of prepping my math centers. I print my task cards on cardstock and laminate them so they will last. Once this is done - math centers in future years just require copying response sheets - easy peasy! Need help with getting cards prepped?!?! 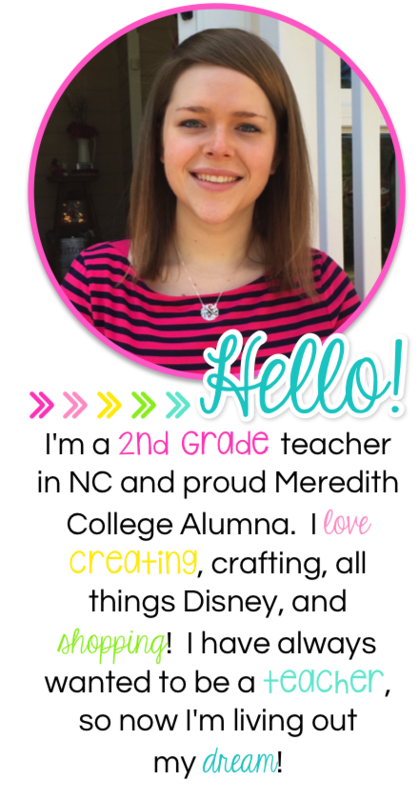 Download this awesome freebie from What The Teacher Wants! I make Help From Home Bags to send home with directions and things I need done - it could be sorting construction paper, cutting out brag tags, or even cutting out math task cards! Parents want to help you, but can't always make it to the classroom - so let them help you from home! That's how math works in my classroom! I hope you took away something you can use in your classroom! But remember - find what works for YOU and your students! I've got a birthday coming up on Sunday - stay tuned to my Facebook page for some exciting news Sunday morning! Hi! I am so glad I found your blog and especially the info about Zearn. I just have a question....how did you locate the Learning Lab/Math Chat videosthat you use for the Concept Development. I am lost! When you log into Zearn and find your grade level's curriculum page, it is there. Click on 1-5 Grades at the top and then your grade level. Then go to the mission (module) that you are on and all the lessons for that module will open up. The learning lab/math chat is the green section for each of the lessons. 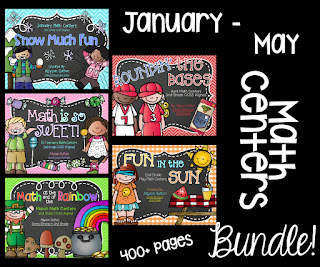 https://www.teacherspayteachers.com/Product/Engage-New-York-2nd-Grade-Math-Powerpoints-COMPLETE-BUNDLE-1955703 On Sale Now! 20% OFF.